The Swiss squad, led by Benoit Morand, has revealed intentions of stepping up from the European Le Mans Series, where it currently fields a Morgan-Judd LMP2 car. Morand heads into this weekend’s ELMS season finale at Estoril still with a mathematical shot of the championship, with Christian Klien, Pierre Ragues and Gary Hirsch fresh off victory in the last round at Paul Ricard. 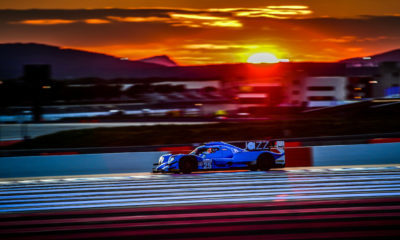 While having a lower-than-expected car count this year, the LMP2 class could see as many ten entries in 2015, with the likely additions of Morand, a second entry for KCMG, as well as possible full-season efforts for both Extreme Speed Motorsports and Project Brabham.